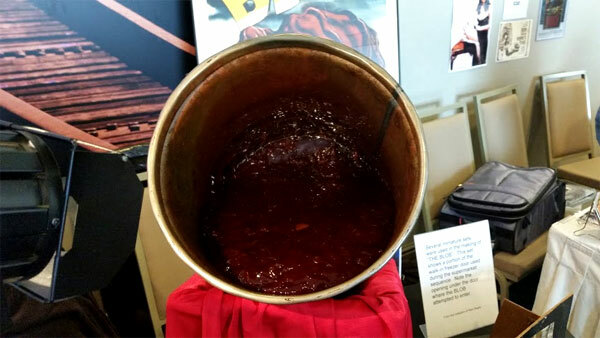 Photos provided by John Tatarelli, Jr., Ron Adams, Ursula Adams, Leonard Hayhurst, Phil Smoot, Malcolm Gittins, Paul Speidel, Charles Arrigo, Charles Henson, Ted Lewczyk, Mark Matzke - thank you! 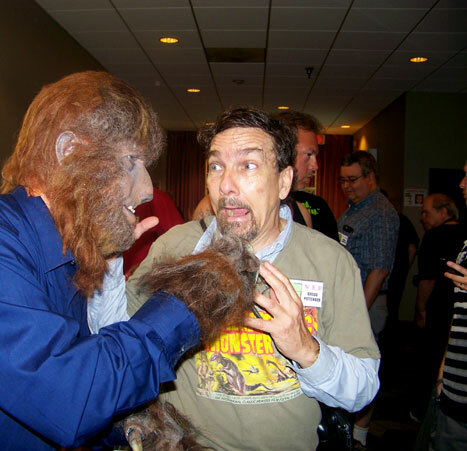 Wolf Man (Ron Arrigo), Tom Savini at BASH. 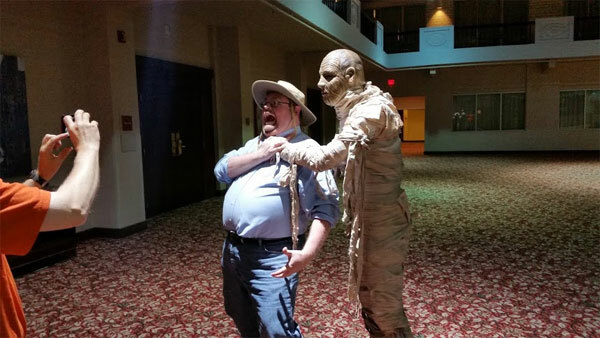 Mummy sculpt by Tom! 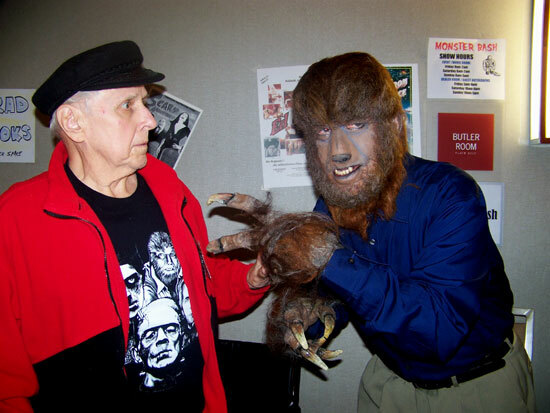 Make-up on the Wolf Man by Ron Chamberlain. Conrad Brooks gets PLAN WOLFBANE FROM OUTER SPACE in the ready. 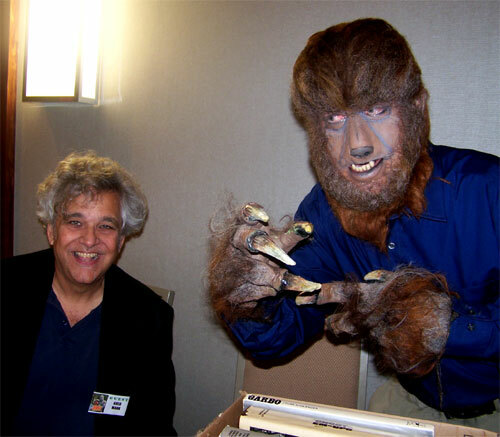 Greg Mank Meets the Wolf Man. A cast worth repeating. 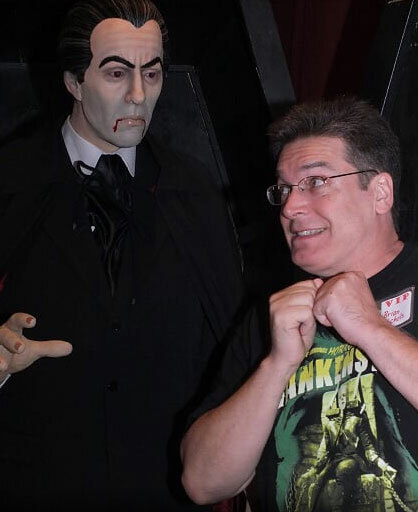 Chilly Billy of Pittsburgh's Chiller Theater gets a kick out of this late night creature feature! 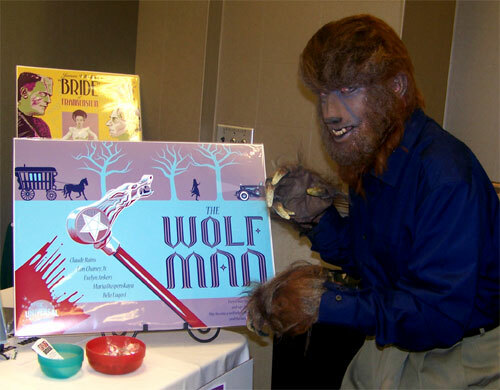 The Wolf Man made his way through the dealer room and found a familiar poster by artist Rich Palmer. 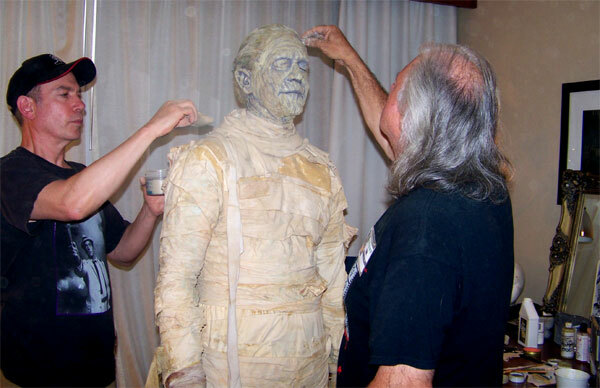 Left to right, Charlie Arrigo, Ron Chaney (as Kharis, The Mummy) and make-up master Ron Chamberlain! 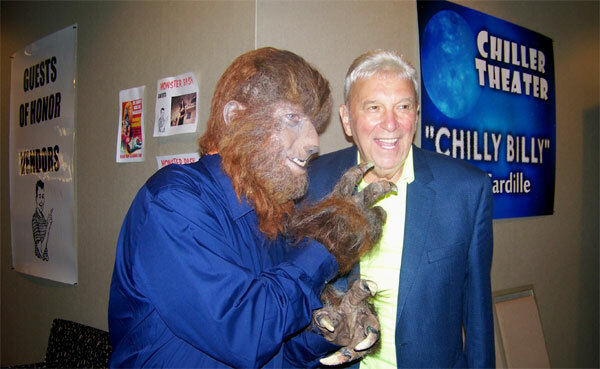 The Wolf Man on the loose in the halls at MONSTER BASH. 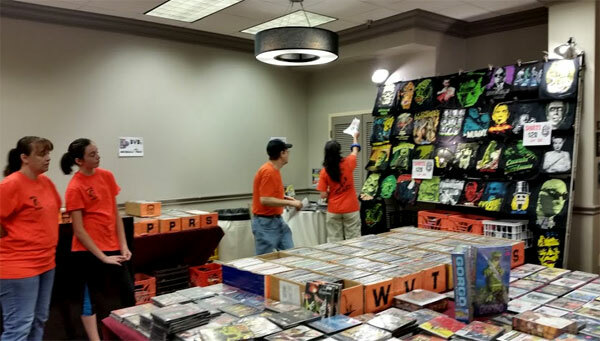 Seen here for a throat ripping with attendee Gregg Pittinger. 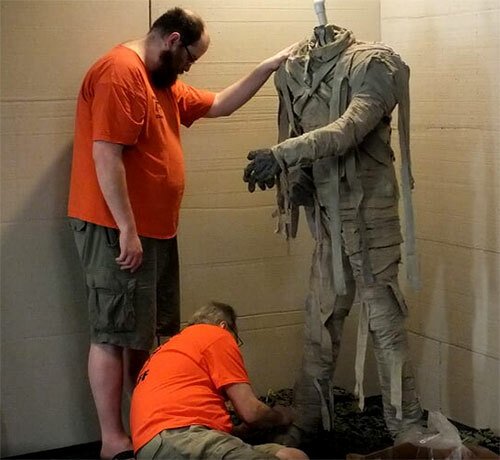 Nick Little and Jerry Armellino busy building a mummy! Tomb wall built by Dan Weber. 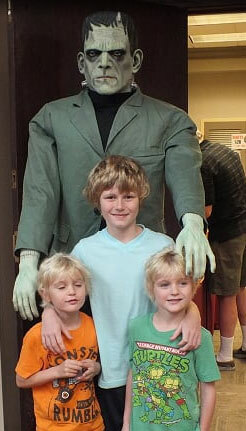 Young film-maker Joshua Kennedy, a true Monster Kid! 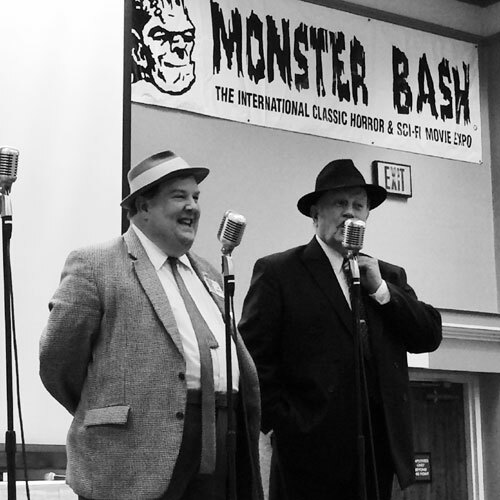 People come from all over to do MONSTER BASH. 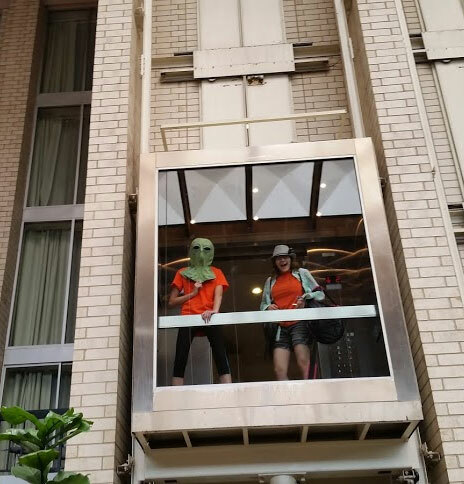 Hotel lobby full of monster movie fans. 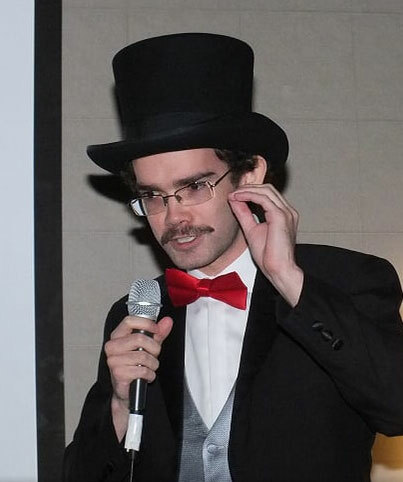 Bash staffers prepping the Creepy Classics room on Wednesday before the show. 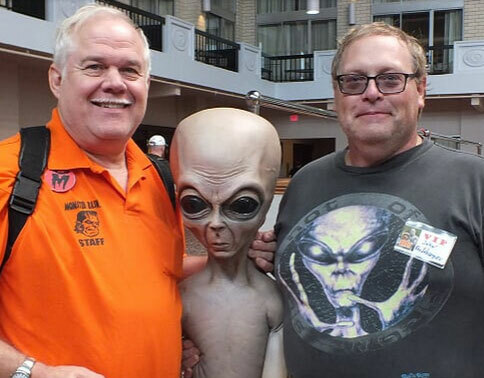 Some staff members return from Planet X to get ready for the show. 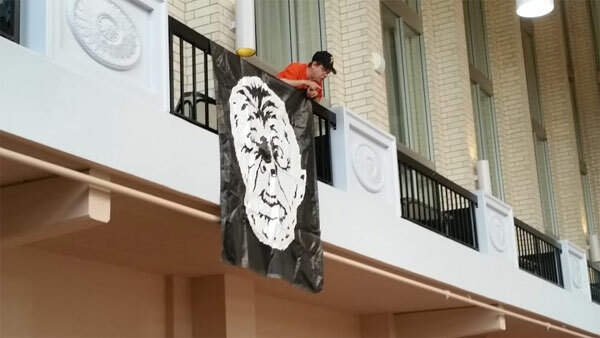 Dan Weber and Joe Hagan put together a Mummy's Tomb for the MONSTER BASH lobby. .
Ron hangs a Wolf Man banner from a balcony in the hotel atrium. 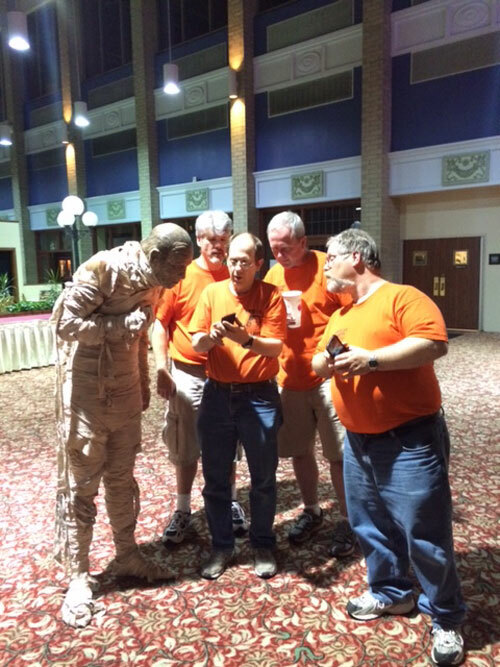 Pre-show Cajun Joe/Mummy shoot very late at night in the hotel lobby. A seven foor surprise in the corner of the MONSTER BASH dealer ballroom. 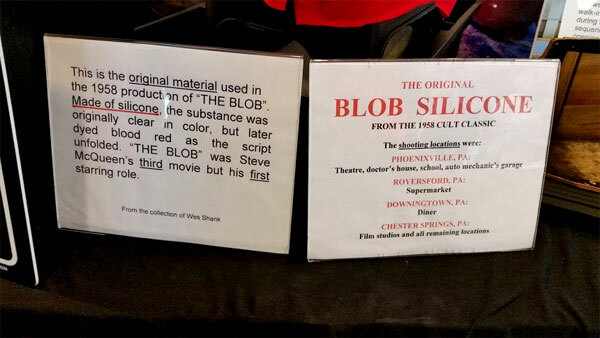 Yes, THE BLOB itself was at MONSTER BASH. 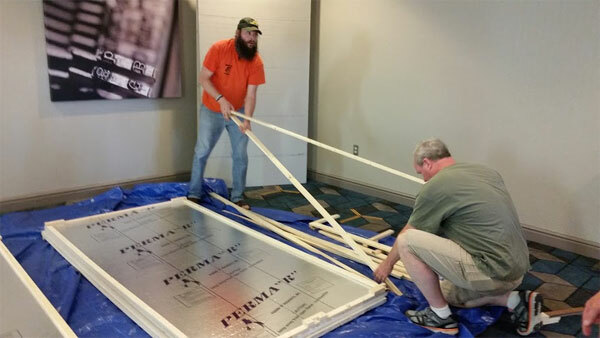 Synchronizing tana leaves for a big presentation in the movie room. Covert operation in progress. 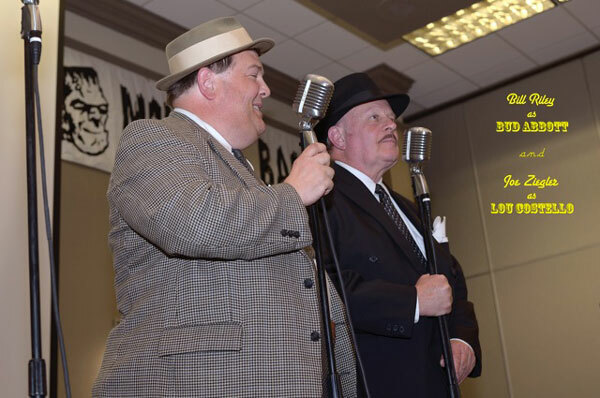 Joe Ziegler (Lou) and Bill Riley (Bud) ARE Abbott & Costello. 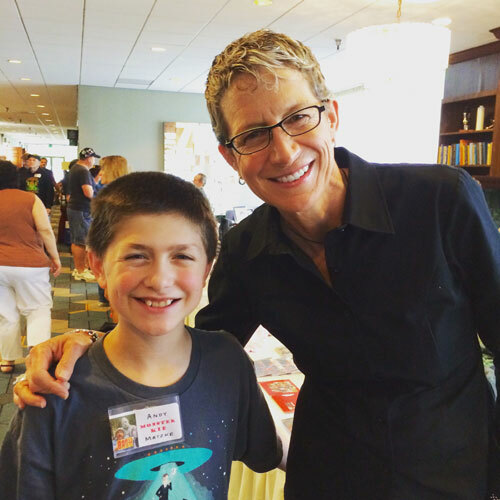 Victoria Price greets a young fan of her dad's Andy Matzke. 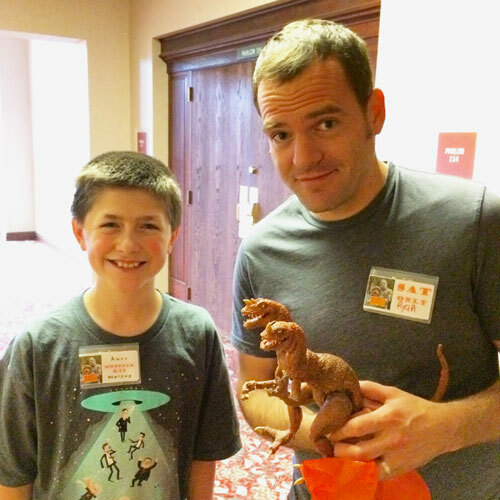 Stop motion animator Ryan Lengyel (right) with fan Andy Matzke. 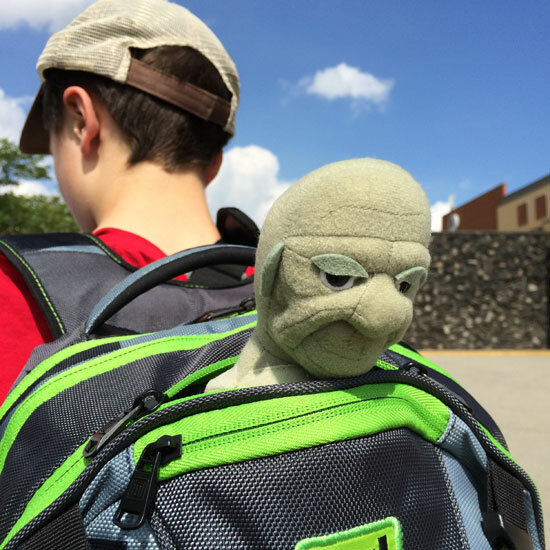 Totally prepared for MONSTER BASH's Mummy theme. 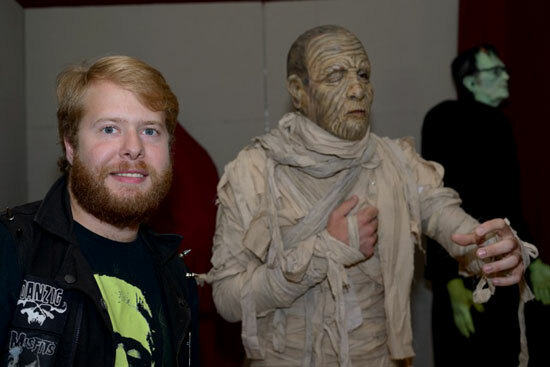 Dalton Smoot meets his Mummy at Bash!